One person was seriously injured after a car crashed into a boat along the Southwest Waterfront. 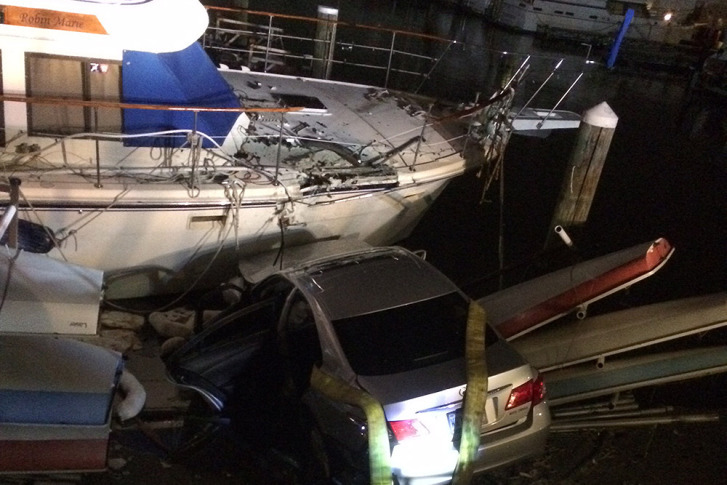 WASHINGTON – One person was seriously injured after a car crashed into a boat along the Southwest Waterfront. It happened at 7th and Maine avenues southwest just before 3 p.m.
A spokesman for D.C. fire says the car hit the boat and got stuck. The car was partially in the water when the person was rescued. The unnamed person was taken to George Washington University hospital with life-threatening injures.